Fortunately, most cats live largely healthy lives, with only a few minor incidences. However, some of the common conditions affecting cats include, cat flu, digestive upset in cats and arthritis in older cats. We would recommend an annual health check with your veterinary surgeon. This is great for routine procedures such as vaccination, neutering flea treatment and worming. Also because it enables more early detection of disease and management of chronic conditions such as cat flu, cat arthritis, liver disease, skin disease, kidney failure and therefore increases the chances of a more favourable outcome. Cats are the masters of hiding illness and disease and the better prepared owners are at pre-empting times of stress or disease challenge, the less likely that serious problems will arise. Feeding good quality food and maintaining a fresh water supply is essential. 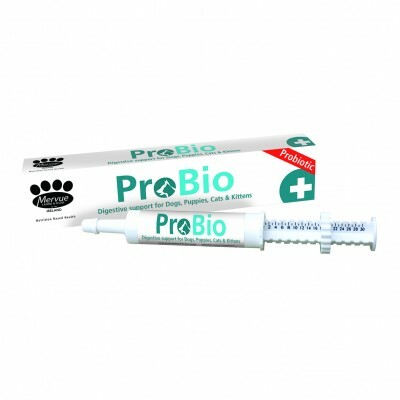 Feeding a probiotic such as PROBIO PLUS helps to maintain good intestinal health and may be particularly beneficial following courses of antibiotics or any time a cat stops eating. Similarly, supplementation with vitamins and minerals using MULTIBOOST for Cats which also contains echinacea to support the immune system during times of stress or disease challenge is of benefit. 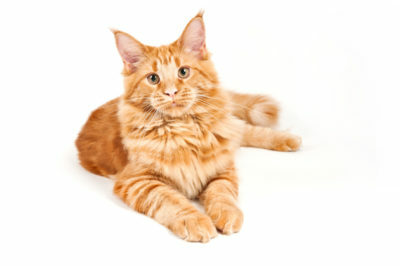 Cats that are long haired or inclined to have poor quality hair coats will benefit from receiving SUPERCOAT for Cats. Digestive upsets, upset tummy and upset stomachs are common in cats and vomiting is generally more commonly seen than diarrhoea. The most common reason for young and generally healthy cats to get an upset stomach is due to dietary indiscretion. Another common cause for vomiting in cats is hair balls, especially in long haired cats. Changes in diet, over feeding and poor-quality food can all lead to vomiting. Like humans, cats have good bacteria in their intestines which aid in the digestion of food and they also synthesise many essential vitamins. Any digestive upset, can negatively impact the numbers of good bacteria and may allow bad bacteria to become established. Similarly, antibiotic treatment may alter the balance between good and bad bacteria in the intestine and lead to digestive upset. Therefore, it is important to replenish the good bacteria in the intestines to aid digestion and to provide additional vitamin sources and energy sources until the condition resolves and the cat returns to normal digestive health. After weaning, cats no longer require milk in their diet and their ability to digest lactose (the sugar in milk) is greatly reduced. Despite the images of cats drinking from a bowl of creamy milk, approximately 85% of cats are lactose intolerant and they lack the enzyme lactase that is needed to digest the lactose in milk. The lactose remains in their intestine and leads to diarrhoea. Hair balls in cats can lead to constipation. There are many other causes of vomiting and diarrhoea in cats, including medical conditions such as kidney disease, liver disease, foreign bodies (e.g. string), cancer and parasitism. It is very important therefore that if your cat experiences prolonged vomiting or diarrhoea that does not resolve within 24-48 hours that you should consult your veterinary surgeon. 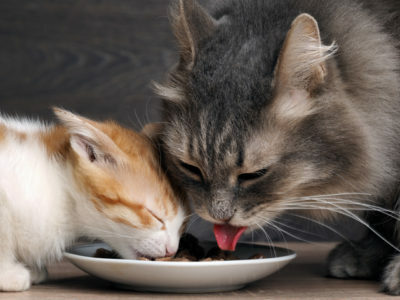 Cats will often stop eating when they have digestive upset, reduced feed intake in cats for a period of three days or more can have serious consequences and it is very important to get cats to return to eating as quickly as possible. PROBIO PLUS is a recovery gel containing a probiotic called Enterococcus faecium which plays a crucial role in digestive health. Enterococcus faecium acts as a defending barrier against invading bad bacteria, aids in the digestion of food and the harvesting of energy harvest from the diet. In addition, Enterococcus faecium provides nutritional support for the cells lining the intestines and stimulates the development of the intestinal immune system. Many probiotics such as Enterococcus faecium produce short chain fatty acids promote normal gut motility. Changes in the normal intestinal bacteria have been linked to chronic intestinal diseases in both dogs and cats. PROBIO PLUS also contains dextrose which acts as a source of energy, which is especially important if your cat is not eating and it also contains electrolytes to replace those that have been lost through vomiting and diarrhoea. PROBIOPLUS also contains a range of B vitamins to help to restore appetite and support normal metabolism and antioxidant vitamins E and C to counteract damage caused to intestinal cells. 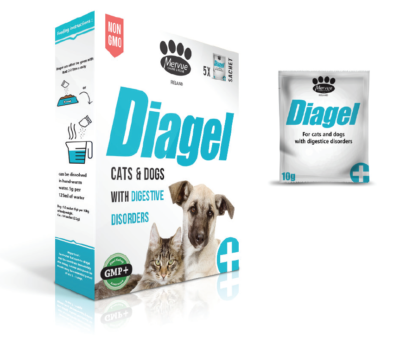 DIAGEL has been specifically developed and formulated for cats that experience diarrhoea or constipation. DIAGEL contains psyllium which absorbs liquids and toxins and helps to normalise the faeces in the case of diarrhoea. The ability of DIAGEL to absorb liquid, also helps to soften the stools and aid passing of stools in cats experiencing constipation. DIAGEL also contains dextrose as an energy source and several B vitamins. The B vitamins are typically synthesised by the good bacteria in the normal health intestine, so their supplementation during times of digestive upset is very important. Arthritis is the medical term used to describe joint inflammation. Joint inflammation can result from a variety of causes, but most commonly it is a result of wear and tear of cartilage and bone in joints. As with humans, arthritis and joint wear and tear is more common in older cats but is by no means unique to older cats. Cats are both predators and predated and for this reason they are masters of hiding pain and demonstrating vulnerability to their predators. Therefore, until recently arthritis was not considered a major problem in cats. Alarmingly, recent studies looking at the X-rays has demonstrated that 60% to more than 90% of cats have evidence of arthritis in their limb joints. the shoulders, hips, elbows, knees (stifles) and ankles (tarsi) are the most commonly affected joints. The signs of arthritis in cats are often very subtle, since cats are masters of hiding discomfort and pain. A cat will limit its activity to minimise pain rather than limp as a dog might. Signs that would suggest that your cat may suffer from arthritis include: reduced activity (spending more time sleeping, hunting less and not playing so much); reduced grooming (poor hair coat, or excessive grooming over painful joints, long claws from lack of activity) reduced mobility (e.g. tentative about jumping up or down, difficulty using litter tray or cat flap). Some cats will demonstrate surprising temperament changes which can alter the cat human bond negatively (e.g. irritability when being stroked, isolation and avoiding interaction). International Cat Care and ISFM (the veterinary division of the charity) have produced a ‘mobility check list’ which owners can download from here and use to see if there have been any changes in their cat that may be indicative of arthritis or joint pain. Arthritis in cats is often quite advanced by the time it is diagnosed. Many cats will require anti-inflammatory drugs to help to control the pain and inflammation, but there are several other things that owners can do to assist their cat with arthritis and mobility issues. In the early stages of arthritis, cats may benefit from nutritional supplementation and in advanced cases nutritional supplements in conjunction with painkillers will also benefit cats. 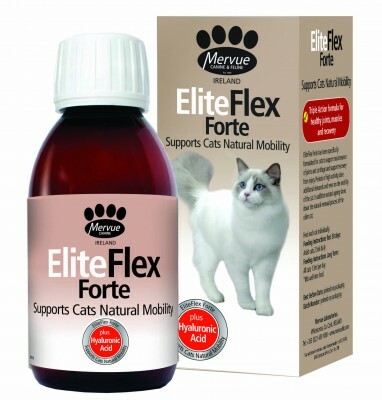 ELITEFLEX FORTE for Cats contains several elements which are beneficial to joints. Glucosamine and chondroitin are the building blocks of cartilage and supplementation may help to repair damaged cartilage. Vitamins E and C are antioxidants and will help to counteract the oxidative damaged caused by inflamed and dying cells in the joints. Hyaluronic acid is an important component of joint fluid and contributes to the lubrication and thickness of the joint fluid. Arthritic joints often have decreased amounts of hyaluronic acid because of inflammation. MSM (methylsulfonylmethane) is a natural compound produced by kelp in the ocean and is reported to have an anti-inflammatory effect as well as an effect on increasing the strength of the ligaments, tendons and joint capsule that surrounds the joints. 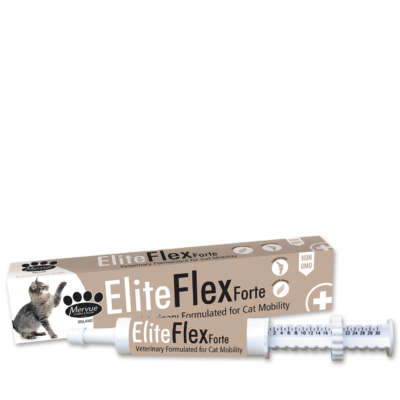 ELITEFLEX FORTE for Cats also contains the amino acids isoleucine, leucine and valine which are important sources of energy for the muscles that support and operate the joints. The liquid formulation should be mixed into wet food at a rate of 2.5ml daily for the first 30 days followed by 1.5ml indefinitely as required. Most cats will benefit from long term supplementation of mobility supplements. The paste formulation can be administered either directly into food or smeared on the cats’ lips or feet, so they lick it off. 2.5ml should be administered daily for the first 30 days and this should then be reduced to 1ml daily thereafter. 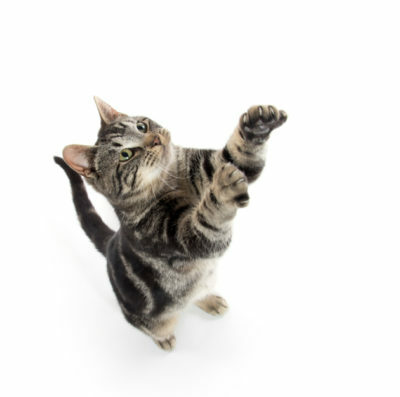 Environmental changes: in all cases of arthritis in cats it is enormously beneficial for the cat to modify its environment to minimise the demands made on painful joints. Examples of environmental modification include introducing soft beds and placing them near radiators; considering ramps to facilitate the cat accessing window stills or its favourite sleeping place; considering the placement of food and water bowls to minimise jumping, reducing; reducing the height and increasing the size of the litter tray to avoid accidents; and undertaking more frequent grooming, cleaning and claw cutting because cats like to be clean. Cat flu is extremely common in cats and is caused by a range of respiratory viruses and often complicated by secondary bacterial infection. The symptoms associated with cat flu infection can vary from mild to life threatening. Two cat viruses have been associated with cat flu and can occur either alone or in combination, feline calicivirus (FCV) and feline herpes virus (FHV-1). In common with humans, feline herpes virus can become latent in the cat and reactivate at times of stress. How do I know my cat has cat flu? The clinical signs and symptoms associated with cat flu include sneezing, nasal discharge, conjunctivitis (inflammation of the lining of the eyes), discharge from the eyes and frequently little ulcers on the surface (cornea) of the eyes. Importantly cats often have a fever and become depressed and have a significant loss of appetite. A blocked nose prevents the cat from smelling its food and mouth ulcers (which often cause drooling of saliva) further compound the loss of appetite. The cat flu viruses persist in the environment and are readily transferred between cats especially via humans. Vaccination is the single most important factor in controlling the severity and transmission of cat flu. The feral cat population serves as a reservoir for the cat flu viruses and while vaccination is very important in reducing the duration and severity of the clinical signs associated with cat flu, vaccination does not prevent exposure or eliminate infection entirely. LYSINE 100 which contains lysine, seaweed (Laminaria hyperborean) and echinacea. Lysine has been demonstrated to reduce the severity and duration of symptoms associated with cat flu and to also reduce the amount of virus shed (and thus transmission) from infected cats. Seaweed (Laminaria hyperborean) contains lamarins and β-glucans. In some species lamarins and B-glucans have been demonstrated to positively influence the immune system as well as have an anti-inflammatory effect. In humans, echinacea has been demonstrated in some trials to reduce the incidence and severity of the common cold. 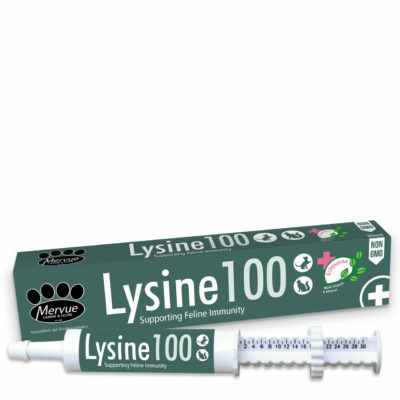 LYSINE 100 should be administered at a rate of 1ml/day to kittens and 1-2ml/day to older cats. The paste can be smeared on the lips or paws or placed in food if the cat is eating. In all cases of cat flu, good nursing care is very important. 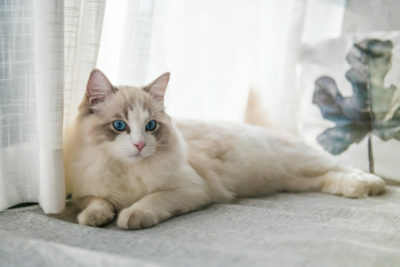 Affected cats should be isolated from other cats and persons handling affected cats should not handle healthy cats, or if they must do so, should change their clothes and was their hands well before doing so. Gently cleaning the eyes and nostrils will improve comfort and aid smelling of food. Food should be highly palatable and warmed slightly to increase smell and encourage appetite. Veterinary consultation should always be sought with very sick cats, cats with coughs and cats that haven’t eaten for 3 days or more as a course of antibiotics may be required.